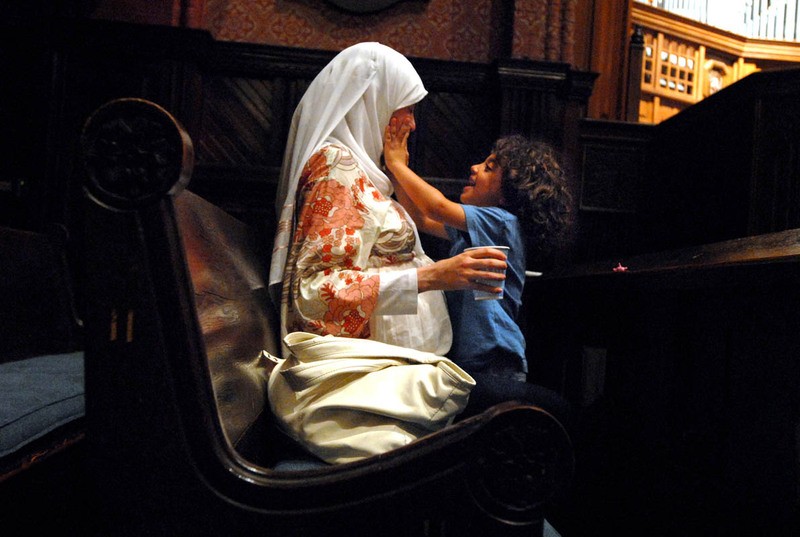 Marwa El-Sayed and her son Adam Masoud, 4, enjoy a private moment during a "community iftar" at Battell Chapel. An iftar is when Muslims break their daily fast after dusk during the month of Ramadan. For this particular iftar, Yale Muslims were encouraged to invite friends regardless of the religious denomination. El-Sayed and her son live in Cairo, Egypt, but are visiting a friend who is a professor at Yale.